The new NAD Masters M10 is a BluOS Enabled integrated amplifier that is the most elegant way to stream music to your favourite speakers. Beautifully designed in sleek black with a smooth-glass touch panel display and finished with solid brushed aluminium, the 100-watts per channel amplifier is a contemporary minimalist departure from standard amplifier industrial design. Inside the chassis is NAD’s award-winning HybridDigital™ amplification technology that delivers MQA music, lossless music streaming, and hi-res music libraries with legendary clarity and sonic depth. Enjoy the flexibility of BluOS hi-res multiroom streaming, wirelessly connecting to other BluOS enabled devises for whole home audio, and intuitively control your music with your smart phone, tablet or computer. 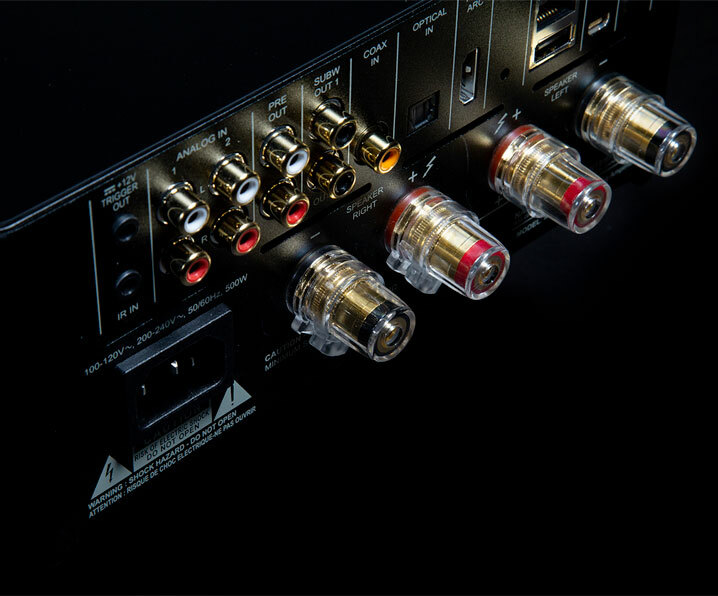 The NAD M10 offers limitless streaming possibilities. Connect to WiFi and enjoy nearly 20 natively integrated music streaming services, including Tidal, Qobuz, Deezer, and Spotify, and personal music libraries. Or connect to the M10 with AirPlay 2 or 24-bit Qualcomm AptX HD Bluetooth to share music stored on your smart phone or laptop. 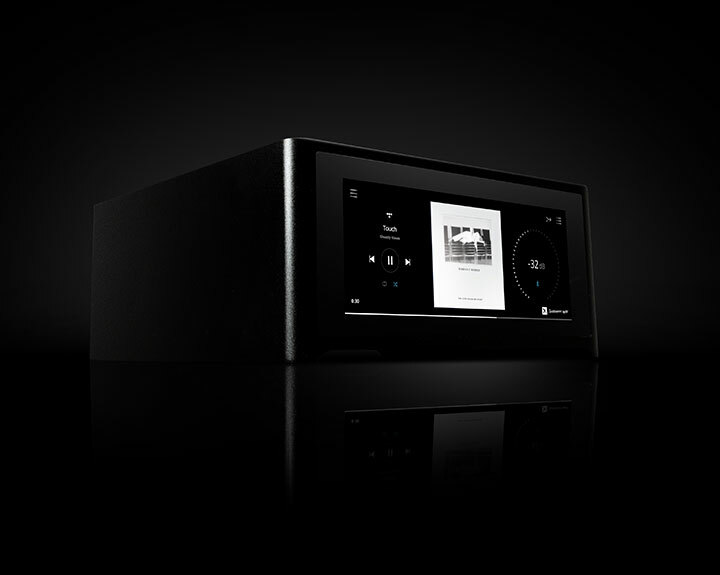 The in-built BluOS platform means you can seamlessly send one unified or many separate streams of music to other BluOS Enabled devices and create a whole home listening experience. Whatever your preference, the NAD Masters M10 is the most elegant way to stream music to your favourite speakers. Featuring a vibrant 7” touch screen display, the M10 allows you to control your music using an elegant and intuitive interface. Accessing playback options, switching music sources, and adjusting tone controls, are among the many customisations possible and made easy with a few touches of the screen. When not customising your playback, the M10 displays the artwork of the album or track that you’re listening to, adding an extra layer of intimacy to your listening experience. A high-performance Class D solution first employed in NAD Masters’ flagship amplifiers, HybridDigital™ takes the best of digital and analogue amplification technologies to deliver the accuracy and detail that digital amplifiers are known for without losing the heart and emotion of analogue amplifiers. Conservatively rated at 100 watts per channel and with a sophisticated DAC on board, the M10 can drive nearly any high-end speaker to reproduce the full frequency and dynamic range of your favourite music without noise or distortion. 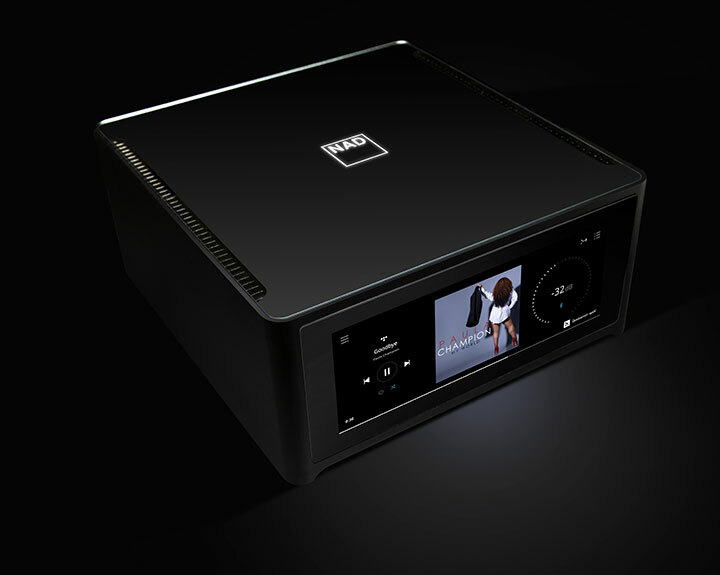 Continually at the forefront of high-fidelity audio, NAD Masters Series is the first to feature NAD laboratories’ latest innovations like Direct Digital and HybridDigital amplification technologies, and the future-proof Modular Design Concept. Rich with features and engineered to deliver flawless audio reproduction, the NAD Masters Series is recognized by renowned audio critics, discerning music lovers, and design- and technology- forward audiophiles for its bold statements on what high-performance amplification should be. Melanie Keay, an award-winning multi-disciplinary artist from Toronto, has been drawing, painting and designing to music for years as a way of quieting the mind and focusing on her work. Read how Melanie created three separate paintings while listening to the M10.